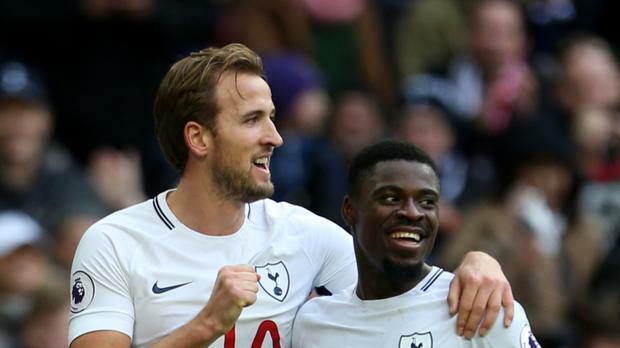 Mauricio Pochettino has urged Harry Kane never to grow complacent after Tottenham's star striker smashed the Premier League record for goals in a calendar year with a match-winning hat-trick. He put Spurs into a two-goal half-time lead with a close-range header and then a simple tap-in before completing his second successive hat-trick with a dinked finish over Saints goalkeeper Fraser Forster. It means Kane has reached his final tally for 2017 in 36 league appearances, six fewer than the 42 games Shearer played for Blackburn in 1995. Pochettino says the 24-year-old can get even better if he keeps his feet firmly on the ground. "That is a massive point for everyone and must be for him. To be better maybe it's a very small step," Pochettino said. "The problem is that when you're at this level you need to fight with all your determination to keep this level. To keep this level you need to work harder than before, be more professional. "You need to be more focused in everything. If you achieve something and think 'Ok, now if I need to run 10 metres I'll only run nine', to try to cheat yourself, that is a massive problem. "For me the most important thing is to keep the same mentality, the same determination. The secret is to work hard. There's no other secret." Kane's third goal against Southampton also moves him ahead of Barcelona forward Lionel Messi for the most goals scored for club and country by any player in Europe's major leagues this year. "We are all so, so, so, so happy because it's an amazing thing to celebrate. For me, he's world class," Pochettino said. After Spurs controlled the first half in front of a relatively subdued crowd, the game became more frantic after the restart. Dele Alli and Son Heung-min each struck to make it 4-0 to Spurs, while Southampton pulled goals back through Sofiane Boufal and substitute Dusan Tadic. "The game was open; 5-2 but maybe (it could have) finished 7-4," Pochettino said. Saints manager Mauricio Pellegrino left defender Virgil van Dijk out of his squad for the second successive match and faced chants of, 'You're getting sacked in the morning' from sections of the away support.